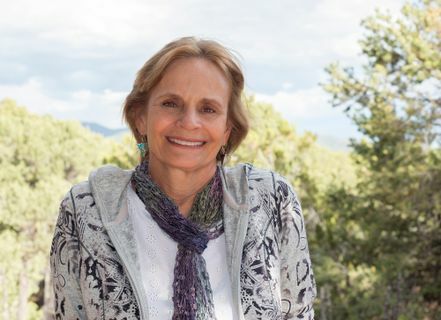 The University of New Mexico’s Department of English hosts distinguished writer, Anne Hillerman as the featured speaker for the 2015 Rudolfo and Patricia Anaya Lecture on the Literature of the Southwest. Hillerman will speak at 7 p.m. on Thursday, Oct. 22 in Room 101 of George Pearl Hall (School of Architecture and Planning), with a reception to follow. 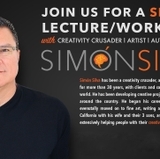 The lecture is free and open to the public. Hillerman has authored eight, published non-fiction books and has worked as an editorial page editor, arts editor, and food critic for the Albuquerque Journal and the Santa Fe New Mexican. Hillerman’s first novel, “Spider Woman’s Daughter” (2013), made the New York Times bestseller list and received the 2014 Spur Award for the Best First Mystery from Western Writers of America. The book also received two New Mexico-Arizona Book Awards for Best Book and Best Mystery of 2014. She recently published a second mystery novel, “Rock with Wings” (2015), and is currently working on a third. Hillerman lives in Santa Fe and is the daughter of New Mexico-based novelist Tony Hillerman, whose mystery novels put the characters of Joe Leaphorn and Jim Chee on the map of southwestern literature. Hillerman’s novels pick up the storyline of her father’s famous detective duo, and in her books, she pushes Tony Hillerman’s cast of characters further by focusing on the adventures of Officer Bernadette Manuelito, the wife of Navajo detective Jim Chee. Set in Monument Valley and Shiprock and against the familiar landscape of the Sandia Mountains, Hillerman’s novels have received national acclaim, but she also maintains a local connection to the Santa Fe arts scene as director of Wordharvest Writers Workshops and the Tony Hillerman Writers Conference, both of which she helped to establish in 2001. This year’s Anaya lecture comes at a relevant moment, with much activity around the Hillerman name and its legacy. The Tony Hillerman Writers Conference will be held in November in Santa Fe, and this year UNM University Libraries will officially launch the Tony Hillerman Portal website (http://ehillerman.unm.edu), a massive digitization project that is making his archive widely available to the public. The library will also hold a symposium in the spring to inaugurate the official launch of the Hillerman Portal, and so this year’s event highlights the exciting activity taking place around Southwestern literature. The UNM English Department established the annual lecture series on the literature of the Southwest in 2010 through a gift from the renowned fiction writer Rudolfo Anaya and his late wife Patricia. A founder of UNM’s distinguished Creative Writing Program, Anaya is also an Emeritus Professor of English at UNM, and his papers are held at UNM’s Center for Southwest Research. The annual Rudolfo and Patricia Anaya Lecture on the Literature of the Southwest features foundational figures such as Acoma Pueblo poet Simon Ortiz (2010), Las Cruces writer and playwright Denise Chávez (2011), Taos writer John Nichols (2012), Kiowa writer N. Scott Momaday (2013), and Chicana writer Ana Castillo (2014). 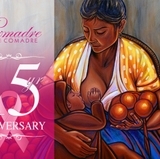 For further information, visit the Anaya Lecture Series website at http://english.unm.edu/anaya-lecture-series/, contact the Anaya Lecture Committee at anayalecture@unm.edu, or contact the UNM English Department at (505) 277-6347.